Congressman Ron Paul has introduced a bill in Congress that would really break the logjam of monopolized money and economic depression. This article from Coin News gives the highlights. Alternet has just published another one of my articles, The End of Money: Take Power Back From the Money and Banking Monopoly. The political money and banking system disempowers communities and enables a small elite to use the present centralized control mechanisms to their own advantage and purpose. It misallocates credit, making it both scarce and expensive for the productive private sector while enabling central governments to circumvent, by deficit spending, the natural limits imposed by its above-board revenue streams. more..
What’s Wrong About the Political Money and Banking System? 1. 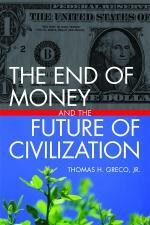 The issuance of money on improper bases, mainly government debt, real estate, and assets of questionable value. Principle: Money should be issued on the basis of goods and services already in the market or shortly to arrive there. All other needs (capital formation and consumer spending) should be financed out of savings. 2. Legal tender laws that force acceptance at par of debased political currencies. Principle: Legal tender laws should be abolished. Only the issuer of a currency should be required to accept it at par. In the absence of legal tender, debased currencies will either be refused or pass at a discount in the market.